Acid reflux is a very common condition many people suffer from. It is also called gastroesophageal reflux (GERD). This is a physical condition in which the acid produced in the stomach for digestion purposes back flows into the esophagus. This is called acid reflux. GERD is often the underlying cause of heartburn. Acid reflux is more prone to happen when the sufferer is overeating, doesn’t allow proper time for digestion before bed, consuming too much carbonation or other factors such as a hernia. There are ways to treat acid reflux when you are hit with a sudden attack. Pay attention to which foods aggravate your condition. These foods or drinks should not be consumes. Rather, to lessen the chance of acid reflux there should be a change in diet. Caffeine and carbonation are known irritants and contributors to acid reflux. Foods that are also high in carbohydrates and fats may also contribute to acid reflux. Increase your water intake. Drinking good amounts of water will help dilute the stomach’s acidity and balance out the pH of your stomach as well. This balance may prevent an episode of acid reflux from even occurring. If you have a severe case of heartburn or acid reflux, milk may offer you some relief. Instead of easting 3 large meals everyday, smaller meals may help manage acid reflux. When sitting to eat you should eat slowly and chew food well. Every effort should be made to not swallow food in a whole or semi solid state. Also, the reduction in the portion size will lower the pressure on the digestive system. This can prevent acid reflux. Make sure your weight is in good range. 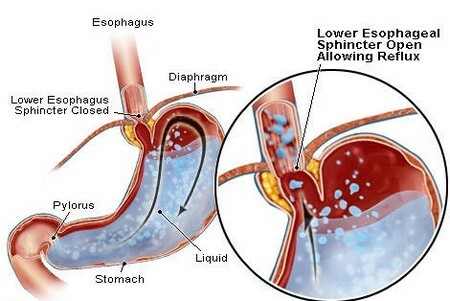 Being overweight contributes to acid reflux by pushing on the stomach internally. This may cause some of your stomach’s content to reflux into the esophageal sphincter. You should increase your daily activities to reduce your acid reflux and increase your over all well being. be careful of your body position after a meal. Do not lie down immediately and no excessive bending. Loosen any restrictive clothing or accessories to lessen pressure on the abdomen. Aloe vera juice is known to have calming effects of the symptoms associated with GERD. Chamomile tea, Chicory Root tea and fennel tea also help. Sip these teas warm and don’t over consume. Aloe Vera Juice should be take 20 minutes prior to a meal. Take ¼ cup. Cinnamon is another natural remedy option to help relieve acid reflux. It has both antiseptic qualities and neutralizes acidity. You can increase the cinnamon intake by adding it to different foods. Try making cinnamon raisin bread. Remember to chew the food well and eat slowly.